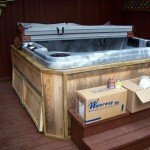 Real Estate Closings, Jacuzzi Whirlpool Bathtubs and Jetted Bathtub repairs are our specialty! Closing soon? Need help NOW? Call right away. 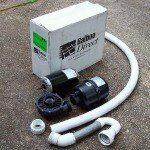 Jetted Bathtub / Spa Service call rates that don’t break the bank! 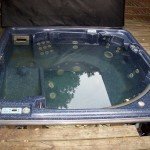 We repair all brands of hot tubs and Jetted Bathtubs, including Jacuzzi Whirlpool. We will NEVER ask you for a credit card up front! To this day it makes no sense that others insist on $159 up front before even getting into the truck! $59 – Gwinnett: Buford, Dacula, Lawrenceville, Lilburn, Norcross, Suwanee, Sugar Hill, Dacula, Bethlehem, Auburn, Hamilton Mill. $69 – All North Fulton: Alpharetta, Dunwoody, Johns Creek, Roswell + East Cobb; Flowery Branch, Hall County: Gainesville and surrounding areas, along with Snellville, Loganville. $69 – Barrow County: Winder, Ga; Jackson County, Jefferson, Ga, Commerce etc. $69 – All other areas within metro Atlanta inside 285 and there-abouts. $79 – West Cobb (west of I-75), SE & SW Atlanta, Lithonia. $89 – Conyers, Covington, Mabelton, Austell, Fairburn, Morrow, Jonesboro, Stockbridge, Rex, McDonough, Paulding County – eg Dallas Georgia. $89 – Peachtree City, Senoia, Fayetteville, and Tyrone Ga! Up north of 400? Dawsonville, and all the mountain roads! $89 – Lake Jackson – Monticello, Fayetteville… and beyond. Call us we’ll make a deal to suit your location. 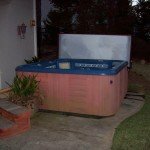 We are frequently in Helen, Georgia ($95) to service cabin hot tubs. 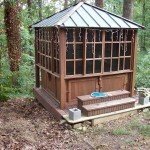 If you need a service call to the north Georgia area, please call and we will work out the details. If you have questions (even the ones you think are dumb), please check this page. There is no dumb question! We answer all of your questions ON THE PHONE before we come out. 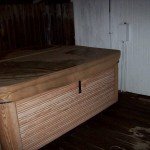 Since maintaining a hot tub at your home is an added weekly responsibility, we help you to save $$$ and give you the tools and information you need to avoid expensive repairs. In the ideal world, you should only need to call us once every five to ten years! We offer printed instruction sheets on how to maintain your water quality to prevent spa equipment damage from bad water quality, rodent invasion and the occasional human mistake. We value your opinion… and have been recommended everywhere! You can always reach us: spaxpert at gmail.com or by the contact us form at the upper right. Money is tight everywhere. We don’t play games and we will do the best we can to extend your leisure dollar to the max.